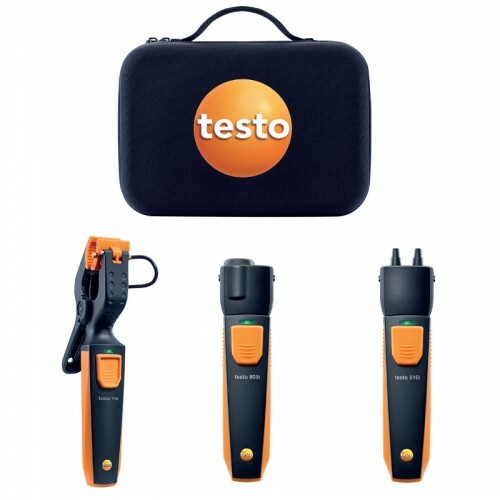 The Testo compact heating set is part of the innovative Smart Probe range for use with smartphones and tablets. 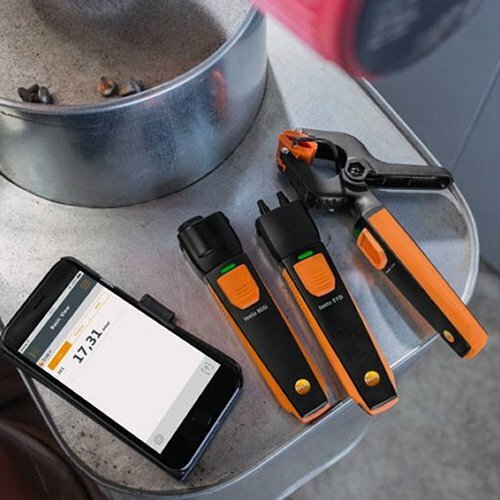 The handy Bluetooth® set with the testo 115i clamp thermometer, the testo 510i differential pressure measuring instrument and the testo 805i infrared thermometer is ideal for important measuring tasks performed by heating engineers. In conjunction with a smartphone or tablet, all heating system temperatures and pressures can be measured and checked. 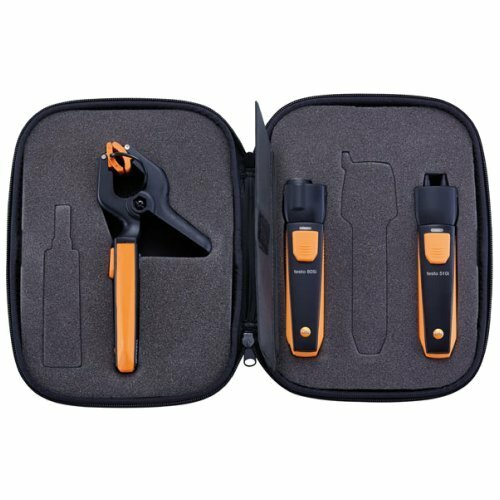 Users can read off their measurement values comfortably in the App installed on the end device.